It was some 20 years ago in Camp Agudah on Shabbos Parashas Pinchas. Rav Belsky was delivering a short dvar Torah at the kiddush following davening in the Masmidim beis medrash. He was speaking of the greatness of Pinchas, who risked his life to preserve kedushas Yisrael. Rav Belsky commented that biographies of Gedolim also serve to preserve kedushas Yisrael because they teach how the Torah wants us to live our lives. 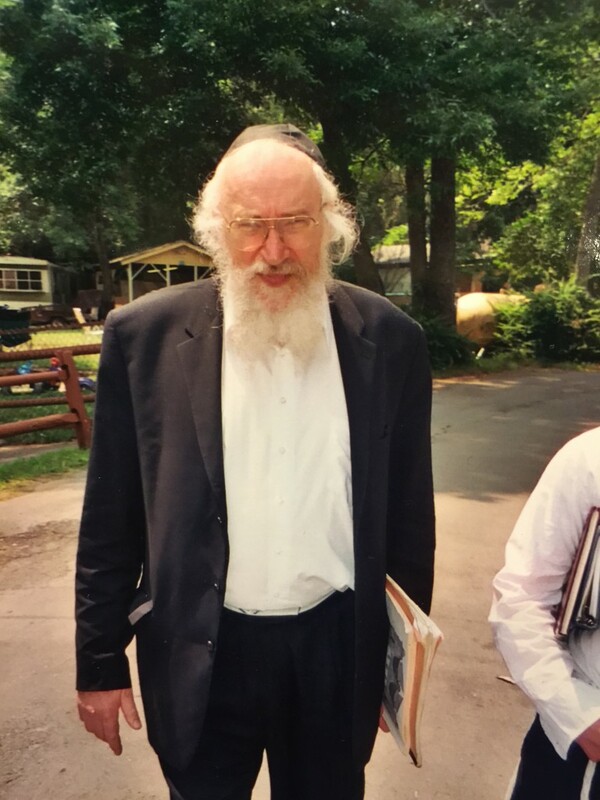 Rav Belsky was, in a sense, a tzaddik nistar — a hidden tzaddik. “If not for Rav Shach’s hidden greatness, it would be impossible for him to have reached the level that is known to the world. When you see a tall building, you can be sure that it was built on a very strong, deep foundation. Without such a foundation the building could not stand for long. Similarly, from the spiritual greatness we see in Rav Shach, we can be sure that his true level of perfection vastly outweighs that which is known to us” (from In Their Shadow by Rabbi Shlomo Lorincz). During his lifetime, Rav Belsky was renowned as a Gaon and Posek. Those who were close to him knew that he was a great baal chessed and ohev Yisrael. But the extent of his chessed was not known until after his passing, when a more complete picture began to emerge. And we can safely assume that the full extent of his tzidkus will remain hidden forever. In this sense, he was a tzaddik nistar. Rav Belsky was a unique Gadol. He was a gaon in Torah, fluent in Tanach, Shas, Shulchan Aruch and their commentaries. As his children were growing up, they took note of his great hasmadah. He would learn until late into the night, and he learned during every available moment when he took his children on outings. Torah was his love, his passion, his lifeblood. Yet, he somehow managed to accumulate an astounding amount of secular knowledge and applied it to Torah and psak halachah. He was an expert in mathematics, astronomy, physics, chemistry, biology, anatomy, botany, zoology, musicology, food technology and history. Masechta Keilim, which deals with scores of keilim (vessels) that existed in the Mishnaic period, is very difficult to learn unless one knows what each vessel looked like. Rav Belsky acquired this knowledge, drew diagrams of many keilim and shared his knowledge with the authors and artists of the ArtScroll Mishnayos Keilim. He was an accomplished sofer and even knew how to create the battim in which the tefillin parshiyos are housed. He was famous for his brilliant presentations on the laws of treifos in which he identified the various parts of an animal or chicken and described their functions. He was one of the world’s leading Poskim and a senior Posek for OU Kosher, the world’s largest kashrus organization. His Torah knowledge combined with his vast scientific knowledge effected positive changes in kashrus supervision the world over for the benefit of every kosher consumer. How is one zocheh to such unusual Torah greatness? The Mishnah (Avos 6:6) lists 48 kinyanim, methods of acquisition, through which one who learns Torah can make it a part of his very essence. Harav Aharon Kotler, zt”l, explains why these qualities are called kinyanim, a term that usually refers to methods by which one can acquire ownership of a physical item. Just as any given item can be acquired only through its specific kinyan, so too can Torah be acquired only through developing these 48 qualities. A person can learn Torah all day for years and years, but unless he strives to refine his character as defined by that mishnah, the Torah will never attach itself to him in a meaningful way. One of the 48 kinyanim is lev tov — a good heart. As many have noted, Rav Belsky’s great mind was matched by his great heart. There was nothing he would not do to help a Yid in distress, even if that Yid was a total stranger. His door was open to all, as was his home for those who needed a place to stay or a good meal. Rav Belsky would accompany the Masmidim on trips, even to places as distant as Niagara Falls. He felt that camp trips should have a ruchniyus focus, and therefore it was important that he come along even though it was often difficult for him, especially in the last years of his life. Rav Belsky always sat in the very front set of seats on the bus, and one of the Masmidim would sit alongside him. Of course, many bachurim vied for the opportunity to sit next to Rav Belsky and converse with him along the way. On one particular trip, the bachur sitting next to Rav Belsky was tall and broad. Rav Belsky himself was an imposing figure, well over six feet tall. With this bachur sitting next to him, Rav Belsky had little room to maneuver, and Rabbi Frischman, who was sitting across from him, could tell that he was not comfortable. He displayed this sensitivity in every sort of situation. When an elderly bookbinder had not returned his Shas to him after a long time had passed, Rav Belsky rejected the suggestion that he call the man to find out when the repair would be completed. “If I ask where the work is holding,” he explained, “he may feel bad that he is not able to do the work faster. I’m going to wait for him to call.” It took a long time until the Shas was returned. Anavah — humility — is another of the 48 kinyanim. One could easily discern this quality in Rav Belsky. He had no airs about him; in camp, everyone from even the youngest campers felt comfortable approaching him with their questions. Rashi (Bamidbar 12:3) defines an anav as one who is humble and tolerant. Rav Belsky was forgiving of anyone who may have spoken to him or about him with less than the respect that he deserved. There was a certain person who was in bad shape financially. I got him set up in a business and put him on his feet. His response was to say something to me that was so hurtful, it caused me to cry. And for the next two years, we learned mussar together regularly. So much of Rav Belsky’s greatness was revealed. And so much will probably remain hidden forever. Rabbi Shimon Finkelman is author of the recently released “Rav Belsky — The life of a multi-dimensional gadol” (ArtScroll/Mesorah).